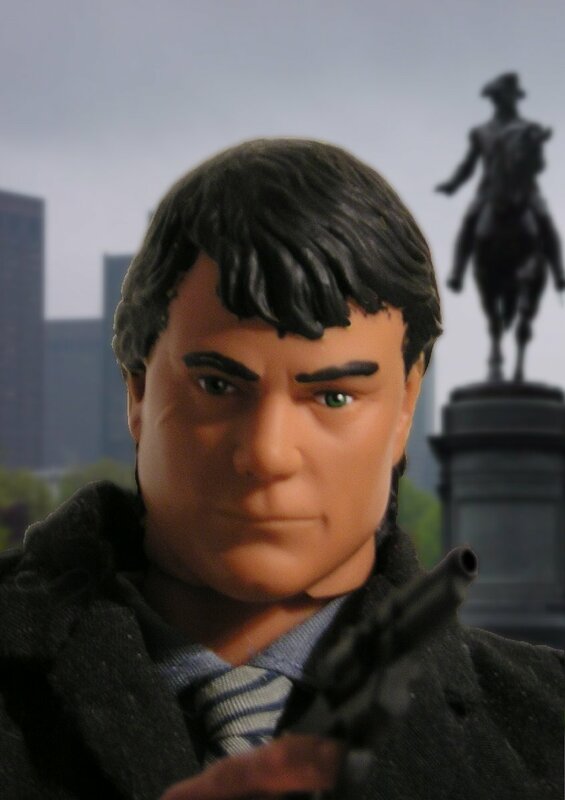 Robert Urich has always been my image of Spenser, Robert B. Parker's opinions to the contrary. And Avery Brooks will always be Hawk. 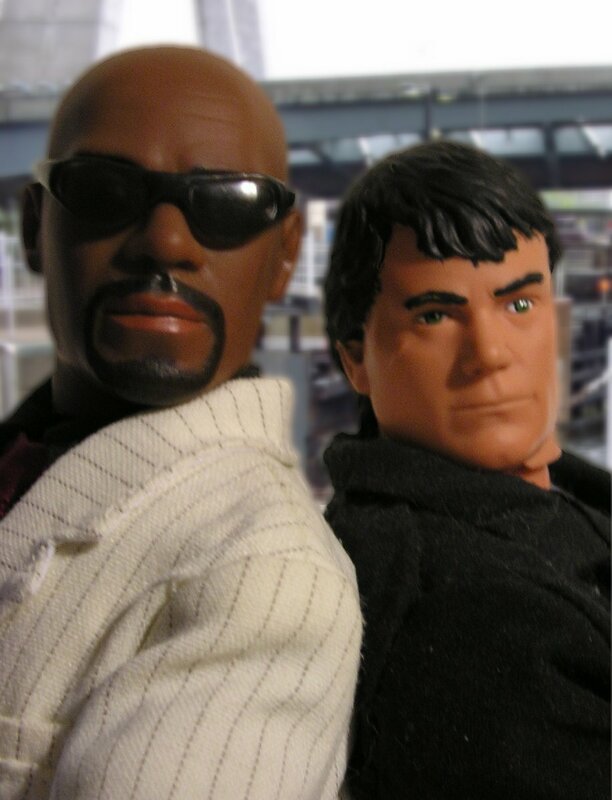 Spenser is a GI-Joe "Hi-Tech" head with hair painted black, on a BBI G3.5 "body builder" body. 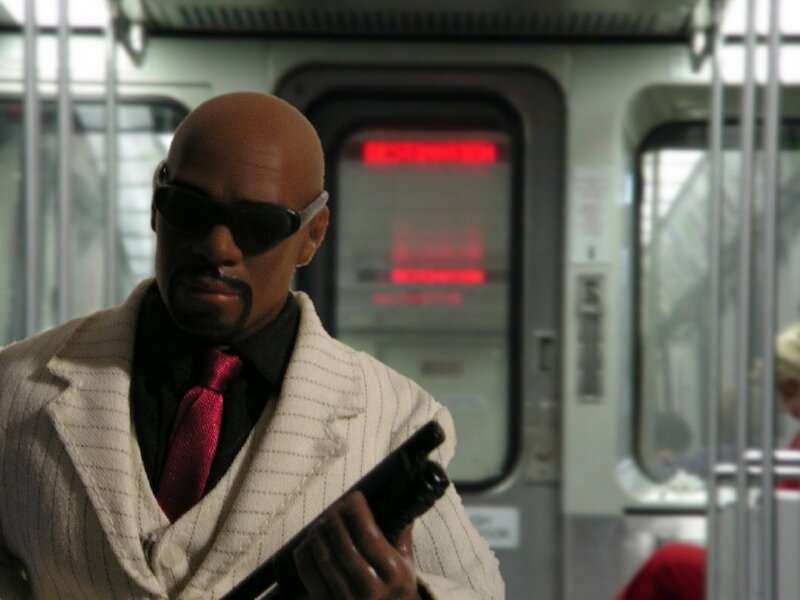 He's carrying a short-barreled Colt .38 by 21st Century Toys, and wearing a "Reserviour Dogs" suit over the "Ken as Agent Mulder" shirt and tie. Hawk is a Playmats 12" "Captain Sisco" head on a Formative Internation "Soldiers of the World" body -- it took me several years to find African American SOTWs, and finally had to buy a 4-pack through eBay. 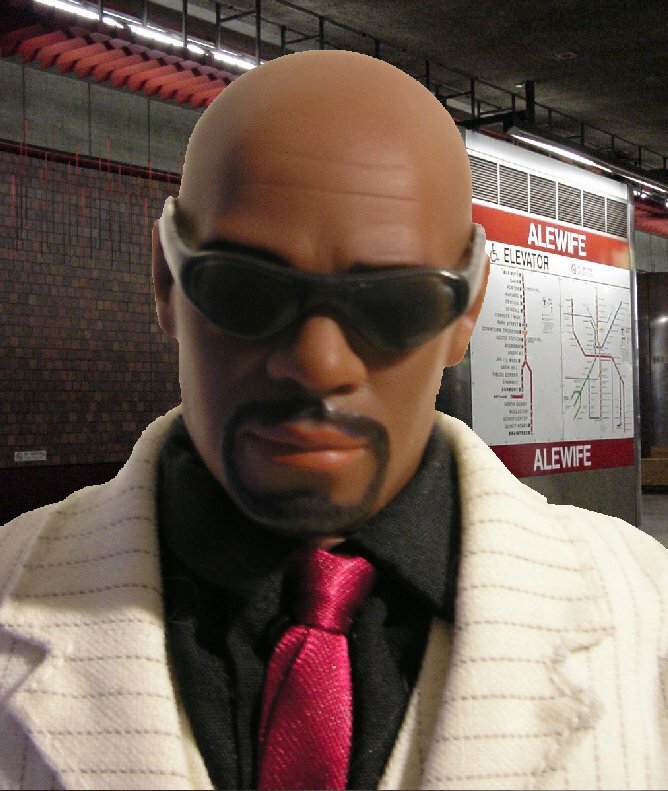 He's wearing a suit from a gangster figure I can't identify, over the black shirt from Hasbro's "Black Spider Rendezvous" GI-Joe set, and a pair of Ken's sunglasses. He's packing a sawed-off shotgun from a Lanard "Ultra Corps" villain, and a 21st Century Toys .357 Magnum in a shoulder holster.